"This is pure hell on earth." Actually, what Tony Todd meant to say was "This is one hell of a movie." Tom Savini and George A. Romero have succeeded in recreated a classic (which is quite hard to do). Night of the Living Dead '90 is faithful to the original, but still manages to scare and surprise you by throwing in a few unexpected twists. Director Savini creates a great atmosphere. This is one of my favorite claustrophobic films. It has the feel of an old, secluded farmhouse, and thankfully lacks that Hollywood gloss. The characters feel real as well. The cast is perfect. Tony Todd, William Butler, and Tom Towles are the re-incarnations of the original Ben, Tommy, and Harry Cooper. And longtime Romero collaborator, Patricia Tallman, revamps her character Barbara for the nineties. And you gotta love Bill Moseley ("They're coming to get you Barbara. They're horny Barbara."). All of the classic elements (the feud between Ben and Cooper, the claustrophobia) and a few new ones (a smarter female lead, new ending) make this one unforgettable. 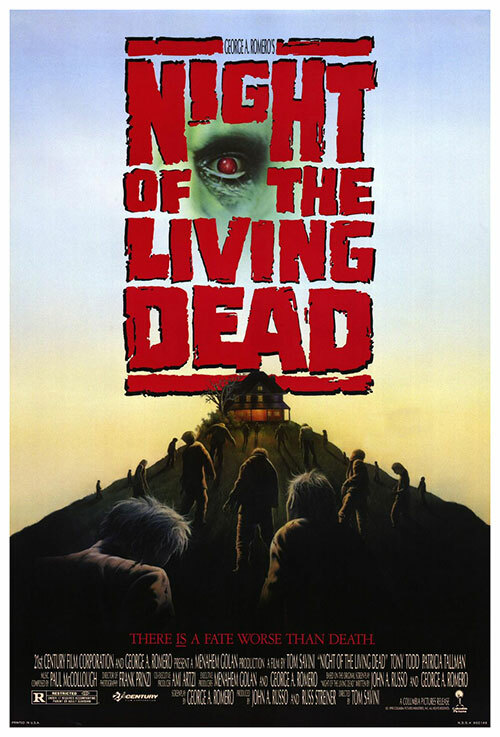 0 Response to "Night of The Living Dead (1990) Tom Savini"